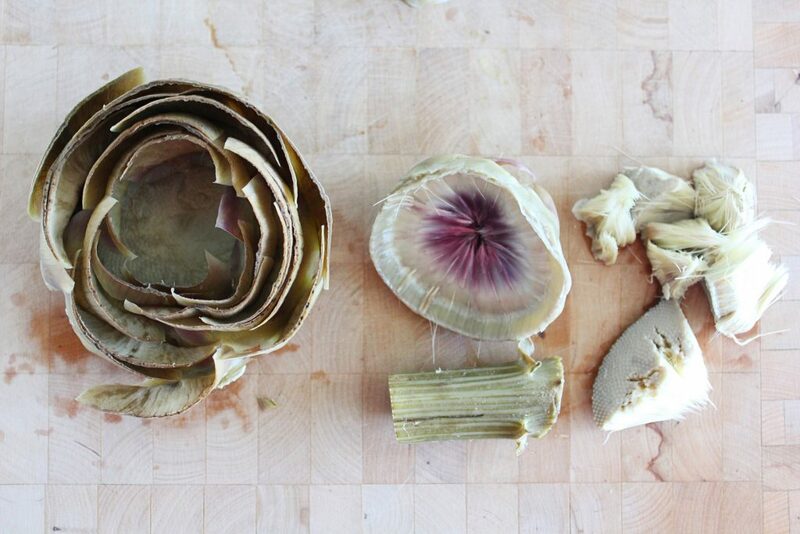 I could eat fresh artichokes every day. 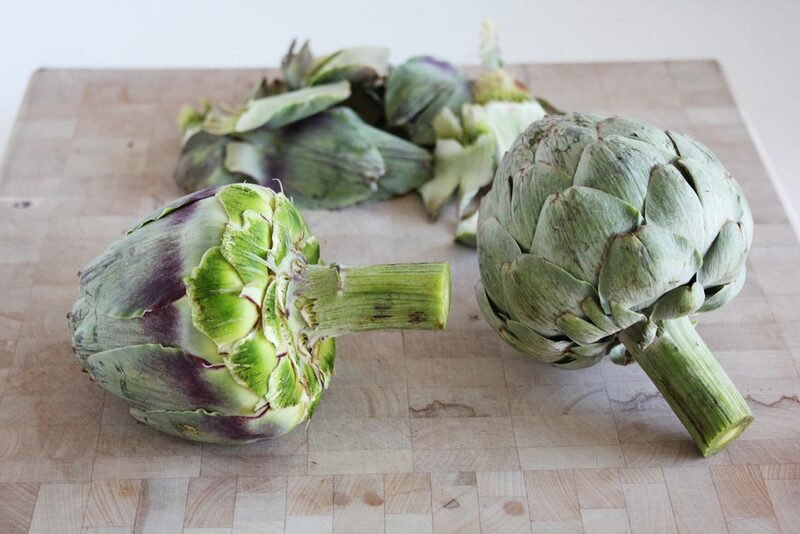 Artichokes and potatoes, but luckily artichokes are actually high on the list of cancer-crushing foods. Great for your liver, they boast major glutathione (you want this if you’re interested in not having cancer), are low glycemic and great for digestion. At first they may seem a little high maintenance, but you’ll get faster the more you use them and they’re more than worth it. I like to think of this recipe like the whole roast chicken progression throughout the week: Night one –roast chicken, Night two –chicken sandwiches, Night three –chicken soup, or whatever. This recipe is night two. 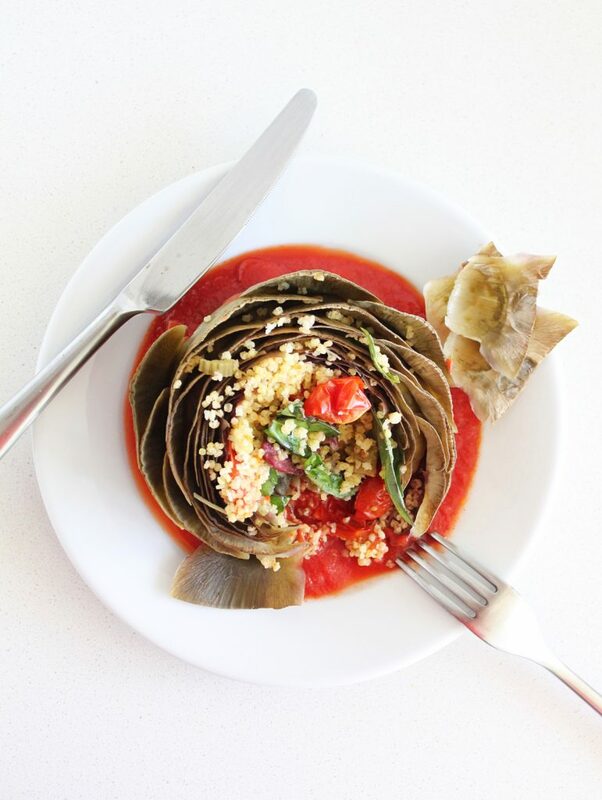 Use this post (my first ever…) to make steamed artichokes and throw a few extra in the pot to make this recipe the next night (and then this one the next night). Fill them with other delicious things that you may that have already made, in the fridge. 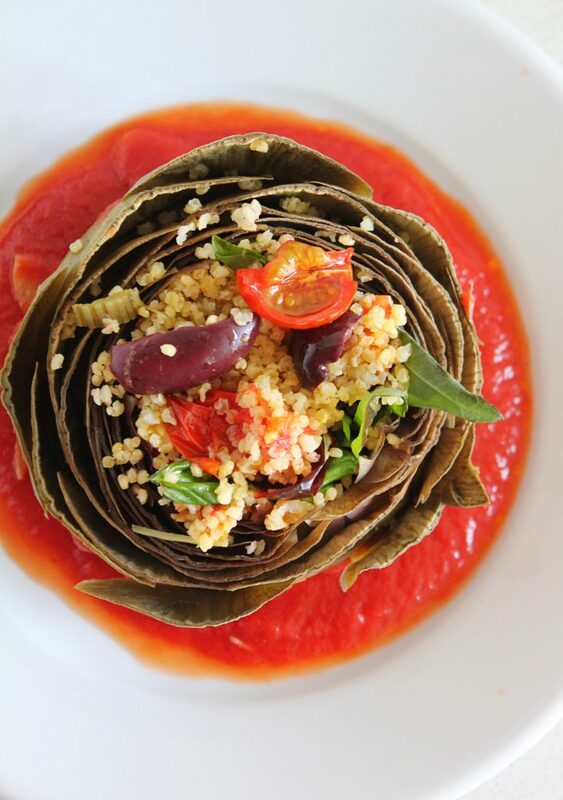 This Tabouli or this less traditional Roasted Chickpea and Eggplant Tabouli leftover curries like this Red Lentil Curry would take it in a tasty direction, or even this Plant-based Spinach and Artichoke Dip (have you guys made this yet? If not go and do it right now!). 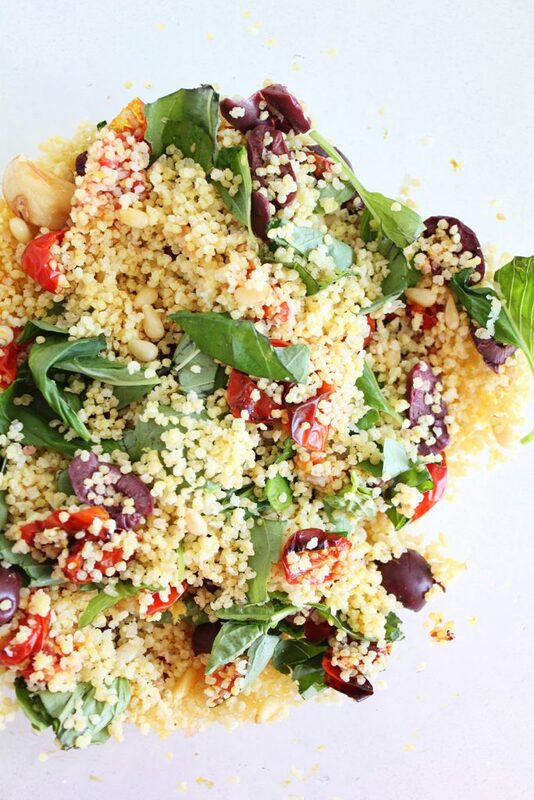 Make the millet filling and stuff it instead inside peppers or tomatoes. 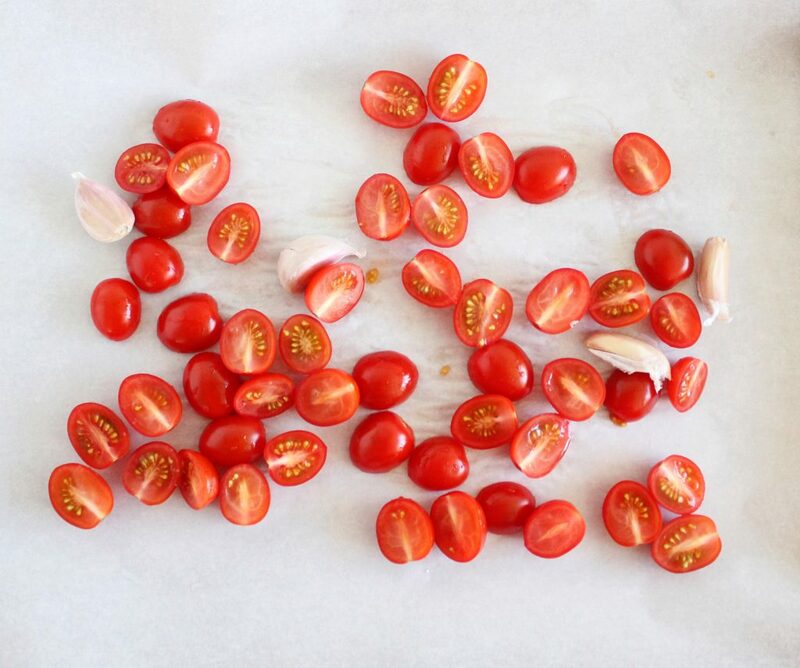 Peppers are already hollow, so easiest ever and big juicy tomatoes scooped out would be pretty awesome too (and you could skip the tomato sauce for these!). 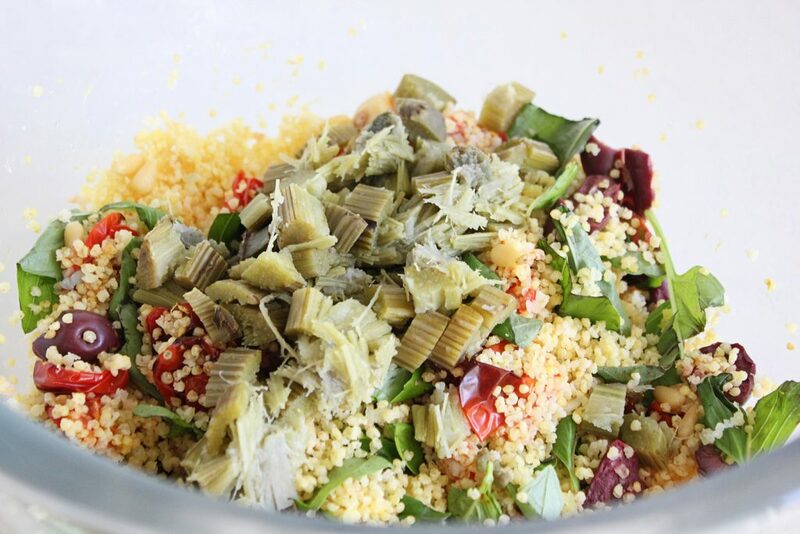 Take your leftover steamed artichokes, remove the tough bits and thistle, chop it up and toss it together with the millet salad and serve it just like that. Warm it through because you’re worth it. There are lots of options to ease your way into this recipe. But what I think you’ll find when you make it, is it’s far easier than you thought. 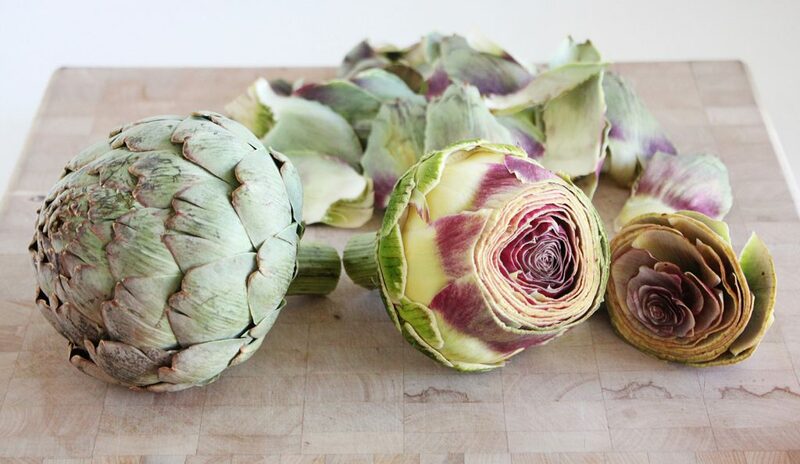 And perhaps you’ll realize fresh artichokes are one of your favourite foods too. Let me know if you have any questions! 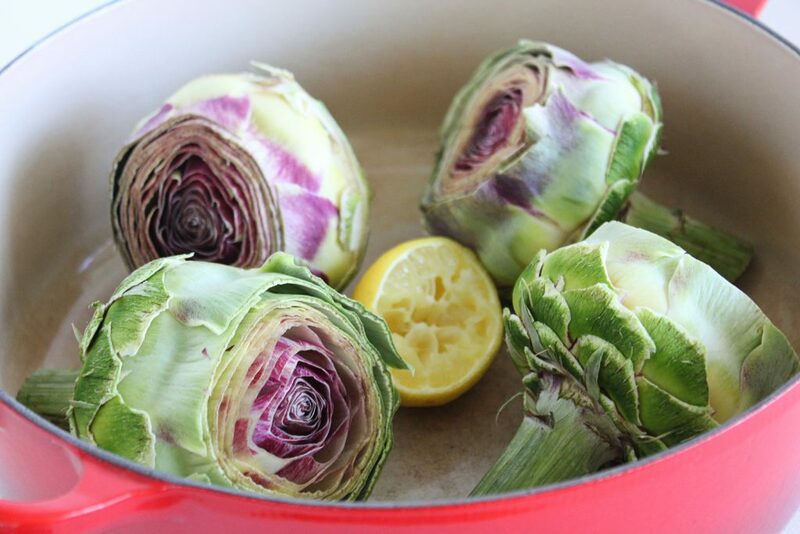 Put artichokes in a wide-bottomed pot with a couple of inches of water and half of a lemon. 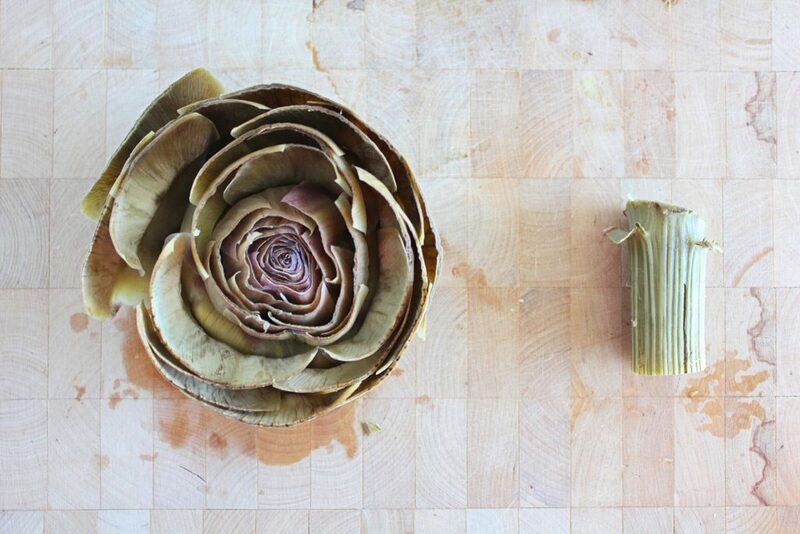 Bring to a boil and simmer with the lid on for 45-60 minutes or until you can easily pull off the outer leaves. If you overcook, they will be a little more fragile to work with (fall apart easily) but it's not a big deal if you just squish them together in the same dish once stuffed. Let cool and cut off the stems (if they're not too fibrous, dice them up to add them to the stuffing....or eat them. 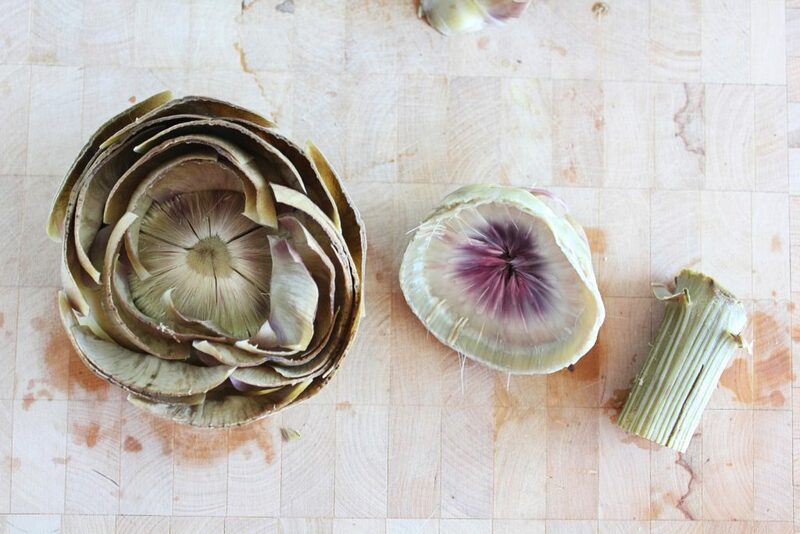 Gently, using your fingers, open up the leaves from the top and pull out the inner ones. They should come out all at once or with only a couple of tries. This will expose the 'choke', the fuzzy part. Pull this out with your fingers or use a spoon. Fill with the millet stuffing. Put a layer of tomato sauce on the bottom of a casserole dish or pot. 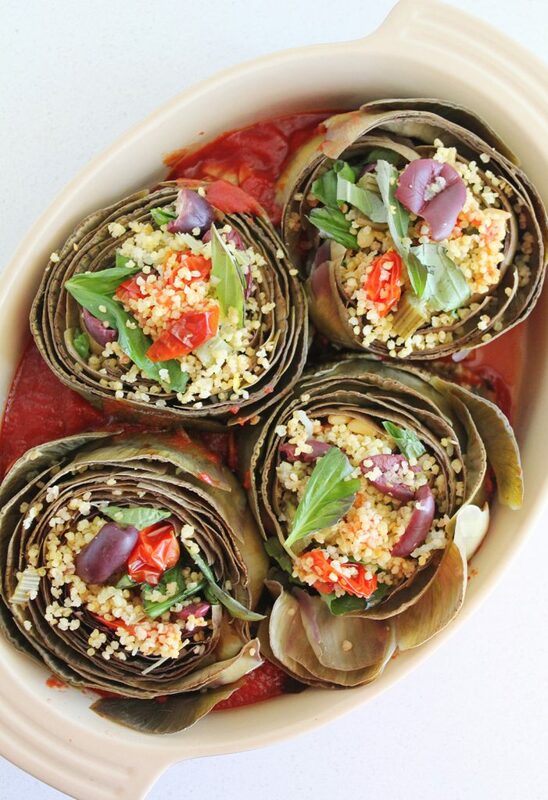 Place the stuffed artichokes in the dish and cover (either with the lid or with foil). Bake for 45 minutes or until warmed all the way through. 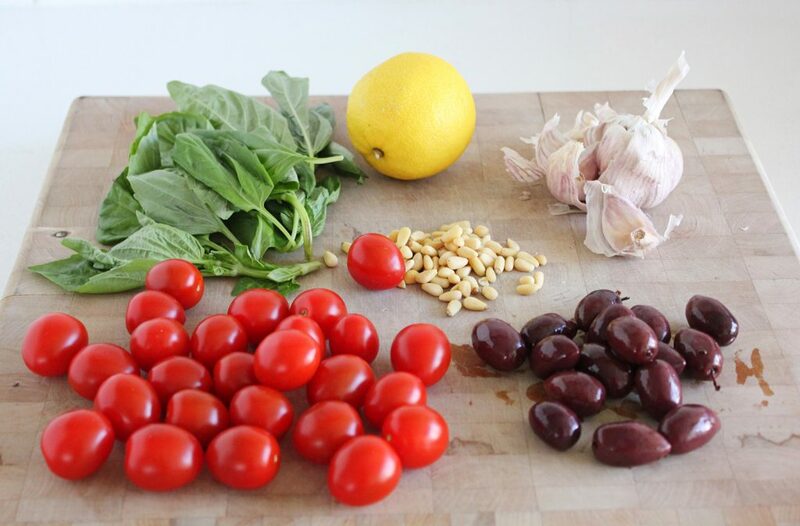 Finish with a good drizzle of olive oil and fresh basil. In a small pot, put in the soaked, rinsed and drained millet. Add water until the millet is just covered. Bring to a boil, add a lid and turn the heat way down, almost off. 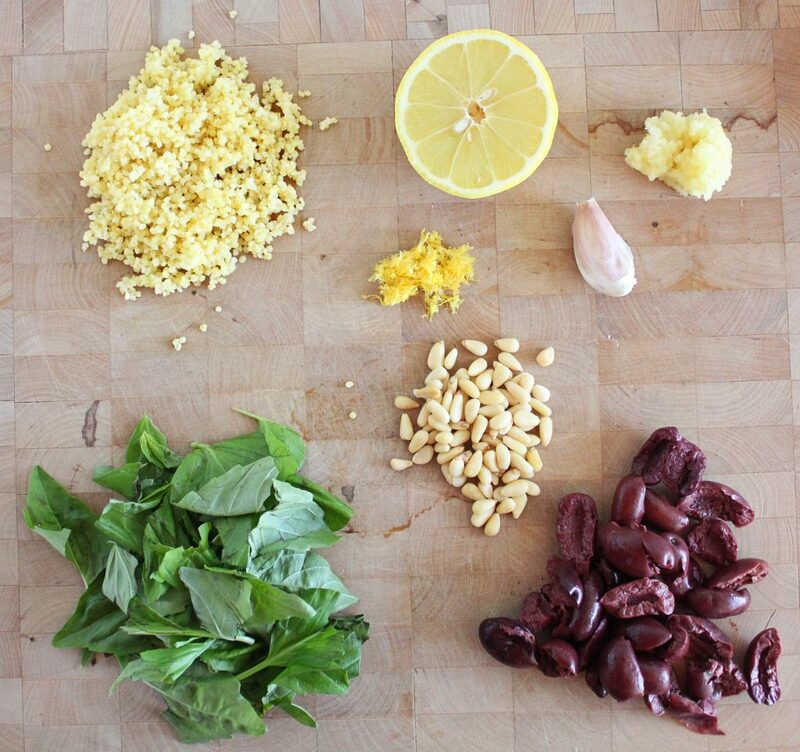 Transfer the millet to a large bowl and add all of the other ingredients except for the olive oil and a bit of basil for garnish. Season with sea(weed) salt to taste. Put the coconut oil and garlic in a small pot and slowly warm it up until it sizzles a bit and becomes fragrant. Add the tomato passata, bring to a boil and lower to a simmer for 10-15 minutes.